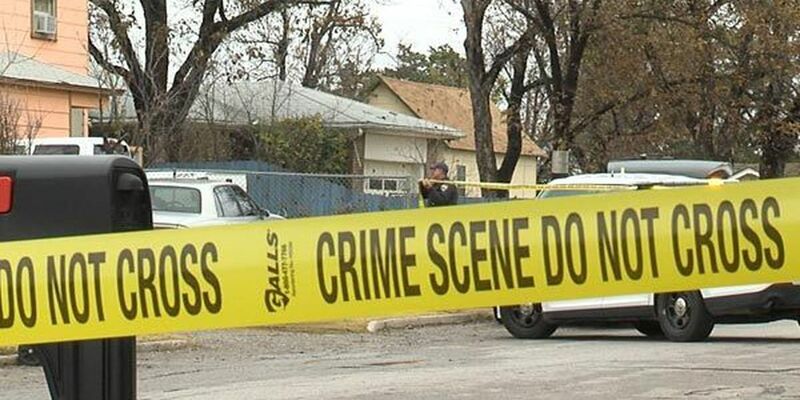 LAWTON, Okla._A violent home invasion on the southwest side of Lawton left two people with gunshot wounds and two others pistol-whipped. Police say three men forced their way into a home on the 1600 block of Southwest 'E' Avenue around noon and demanded money and valuables. Four people were inside the home where one of them was shot and two others were pistol-whipped. Crime scene tape wrapped around the home and those adjacent to it as officers try to piece together what happened during the violent crime. Around noon, Captain Craig Akard of the Lawton Police Department says three armed men barged in through the front door and started making demands. "Two of them had a gun, and when they came in they started to demand wallets, money, cell phones. They attempted to steal a television that was there at the house," Capt. Akard said. Captain Akard says the residents put up a fight. During the scuffle, one of the victims was grazed by a bullet after shots rang out, while two others were pistol-whipped in the head. But the victims weren't the only ones injured. Captain Akard says during the confrontation, one of the robbers was shot in the arm. He's now in custody after he left the scene and showed up at the hospital. "Every time someone shows up at a hospital that's a victim of a gunshot wound, the hospital always contacts us. We have officers that go out to the hospital," Capt. Akard explained. When police showed up, it didn't take long for them to realize who he was. "This one individual that had the gunshot wound fit the description of one of our suspects. He had a red jacket just like they did. He had dreadlocks on," Capt. Akard said. Police say the robbers' getaway car has also been located. Police have not released the details on the search for the other two suspects.